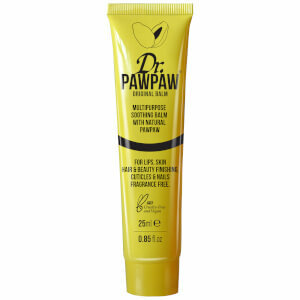 Dr. PAWPAW Original Balm is a best-selling, multi-tasking balm that delivers moisturising and healing and properties. With a clear finish, the Original Balm can be used on the lips, skin and hair; perfect for nourishing dry cuticles, rough elbows and taming flyaways and unruly brows. Formulated with a host of natural ingredients, including moisturising Aloe Barbadensis Leaf Juice and key ingredient, Carica Papaya, an antioxidant-rich fruit that aids repair while protecting and intensely hydrating. A must-have all-rounder, the balm can be utilised as a skin-protector, moisturiser, nappy cream or lip and beauty finisher. Try it on sunburn, skin irritations or as a hair conditioning treatment. Use on skin lips and hair. Protect and moisturise skin and lips, soothe dry and cracked skin, smooth flyaway hair and unruly eyebrows, protect split ends, nourish nails and cuticles, calm nappy rash and sunburn, create a base for makeup, highlight the brow bone and cheeks. Petrolatum, Aloe Barbadenis Leaf Juice, Olea Europaea (Olive) Fruit Oil, Carica Papaya (Fermented PAWPAW). This stuff has cured my dry lips. It has no smell and you don't need to apply a lot. The moisture last long! This balm is lovely and soothing to dry lips and any other dry areas that could do with a bit of TLC! Would definetly recommend. I use it on my lips and (weirdly) on the top of my nose that for some reason suffers with really dry skin. 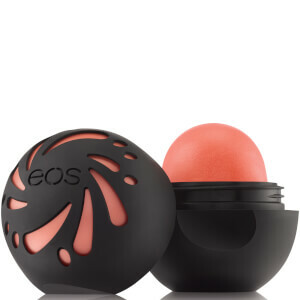 It has a lovely texture, is non greasy and is very lightly scented, if none at all. A must to carry around during autumn/ winter months and for drying flights!! A good all rounder.